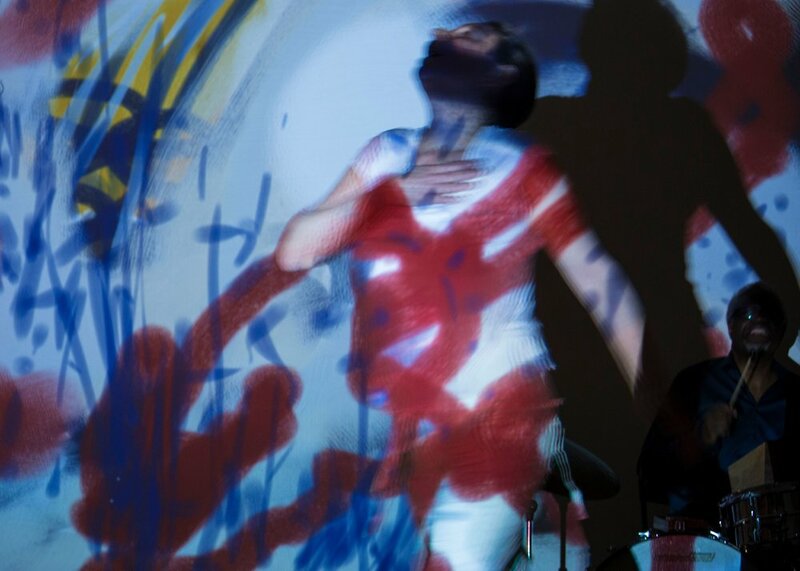 Revolution Resurrection(R&R) is a quintet with 2 dancers (Patricia Nicholson & Jason Jordan), 2 musicians (Jason Kao Hwang & TA Thompson) and a visual artist (William Mazza). The artists represent a diversity of race, age and gender and creative languages that come together to create a complex tapestry that has more to do with what we share than what makes us different. Through the art we make together we seek to illuminate with sound, movement, text and light, what can bring us all together. R&R is built on an aesthetic and a social common, rather than a single artistic discipline. It utilizes improvisation as a base and employs clear structures that are built in rehearsals and through the course of living. All members share a sophisticated and highly developed understanding of what improvisation is as well as a common social understanding that we share responsibility for our world. 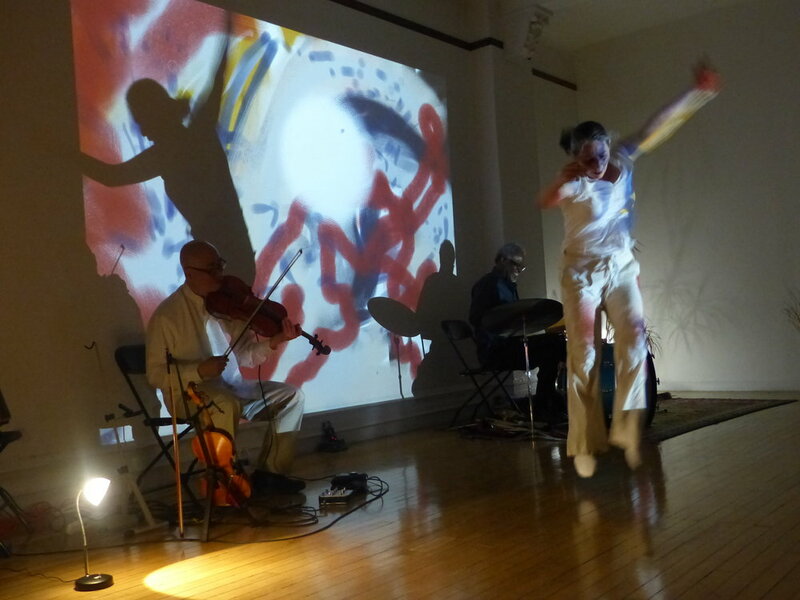 Revolution Resurrection performing "Traces of Light" at An die Musik on November 11, 2017 featuring Patricia Nicholson (words, dance), Jason Kao Hwang (violin, viola), TA Thompson (percussion), and Bill Mazza (live painting). 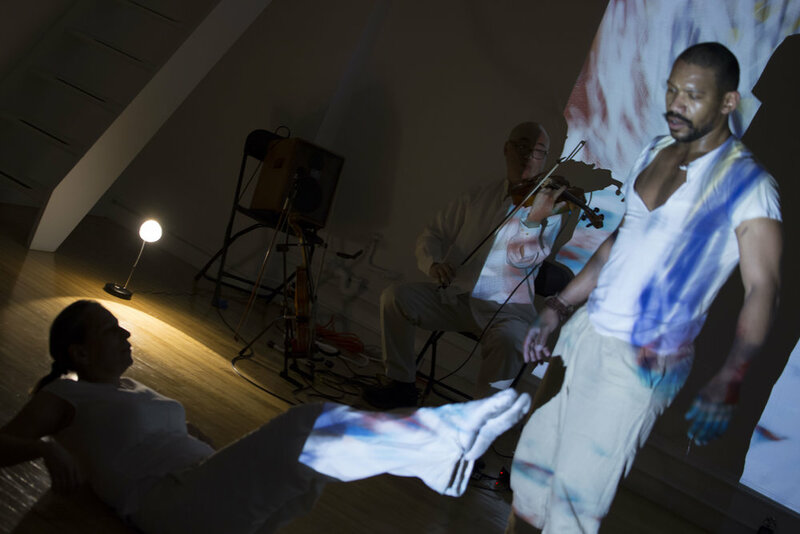 Revolution Resurrection performing at Roulette in October, 2015 featuring Patricia Nicholson (words, dance), Jason Kao Hwang (violin, viola), TA Thompson (percussion), and Bill Mazza (live painting).